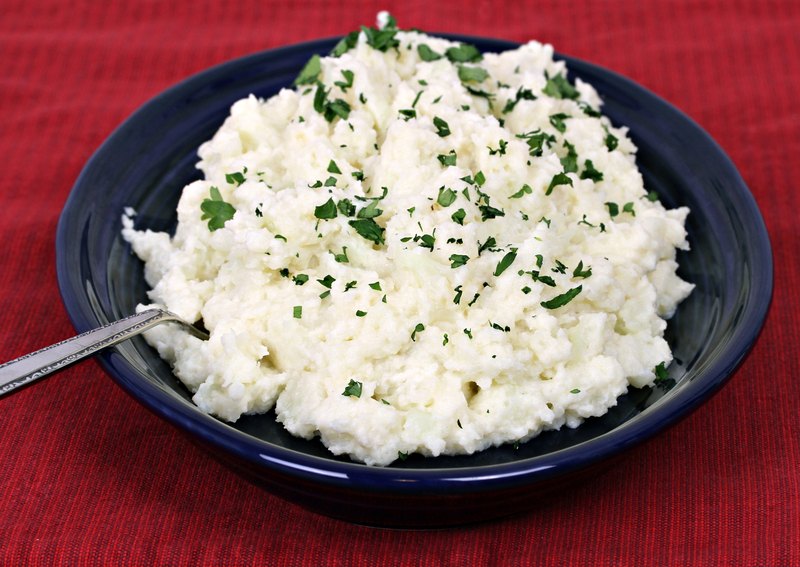 Mashed Cauliflower – Delicious side dish! Cook Cauliflower in the microwave according to directions on bag. Transfer cauliflower to a large bowl. Add milk and butter; mash with a potato masher or fork until cauliflower mixture is fluffy. Season with salt and black pepper. Pour mixture into a baking dish and sprinkle with Cheddar cheese. Bake in preheated oven until cheese is melted, about 10 minutes.